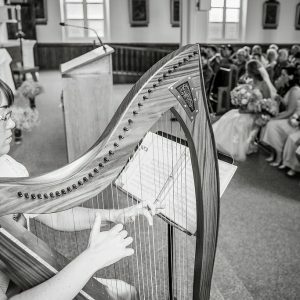 Katherine Fitch Loza is a University trained harpist providing elegant live music on Concert and Celtic harp to the Maritime provinces and teaching harp from her studio in Halifax, Nova Scotia, Canada. Katherine hails from the town of Riverview, New Brunswick. As a small child she already knew her career would be in music. After years of piano, voice, and music theory lessons, her true calling was revealed after seeing a concert by Harps International. She began lessons with Esther Underhay in 1995 on a small 26 string Celtic harp. 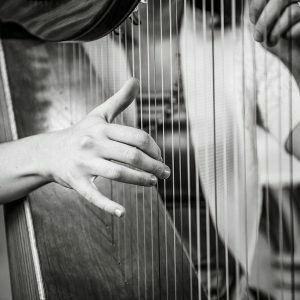 In 1998 she moved to a 47 string concert grand pedal harp and under the guidance of her teacher Dorothy Brzezicki began to prepare for university auditions. In 2000 Katherine began studies at The University of Western Ontario in the Honours Performance program with Lori Gemmell. 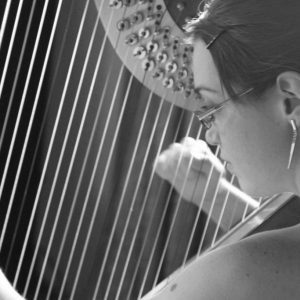 After graduating in 2004 with honours she left London for 2 years of studies in Toronto with internationally acclaimed harpist Judy Loman. 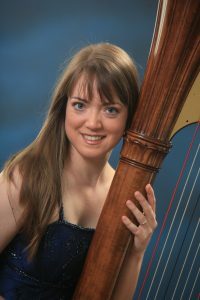 In 2008 Katherine was harpist on Celebrity Cruises’ Constellation travelling the Caribbean and Baltic. Followed in 2009 and 2010 by contracts as harpist on Azamara Club Cruises’ Azamara Quest travelling the Mediterranean and Asia. Katherine is now providing live music throughout the Maritime provinces and lessons for all ages from her studio in Halifax, Nova Scotia, Canada. She has been playing for public and private functions since 1996 and has amassed a large and diverse repertoire covering everything from Classical to Contemporary. 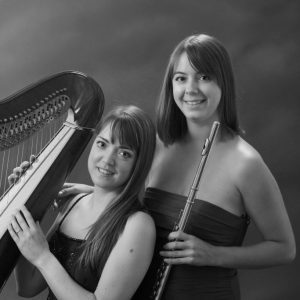 She collaborates with soprano Adria Jackson and also performs with flutist Kimberley North as Duo Tranquillo. You can hear Katherine’s demo recordings on her soundcloud page. 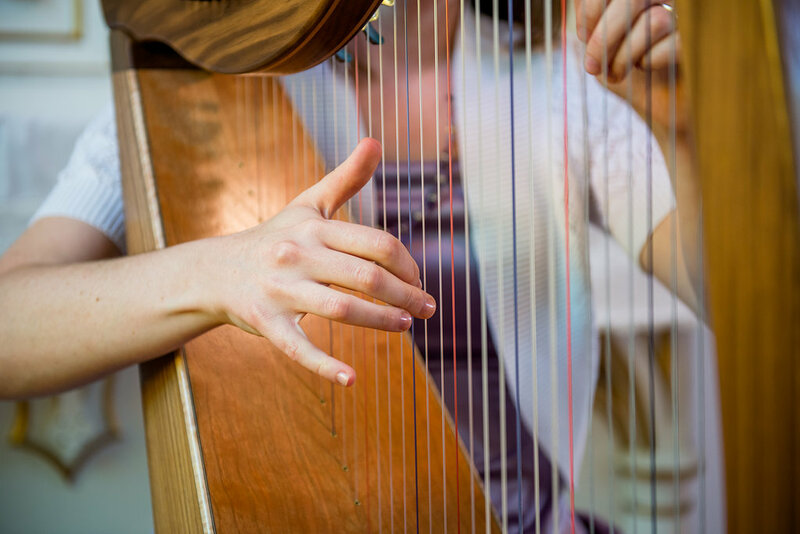 Let Katherine provide beautiful harp music for your wedding ceremony, reception or dinner. Let Katherine provide the most elegant live harp music to make your event extra special. 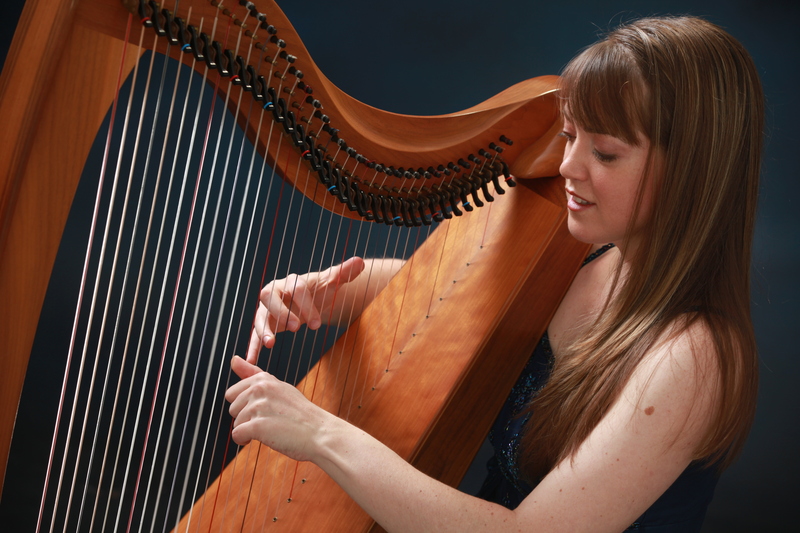 Katherine teaches harp lessons for all ages and levels from her studio in Halifax, Nova Scotia. Contact me for information on harp lessons or to book beautiful live harp music for your special event. Be sure to leave the date of your function so I can check my availability before getting back to you! You can contact me by phone at 902-404-2663 or by filling out this form.